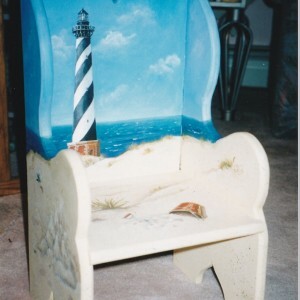 This little child’s chair is painted as if it were a mural. 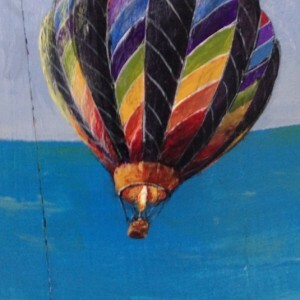 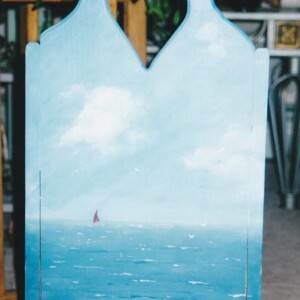 The chair belonged to the client who gave me free reign to do whatever I wanted and this was the result. 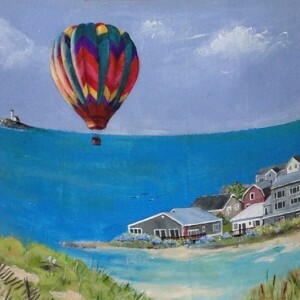 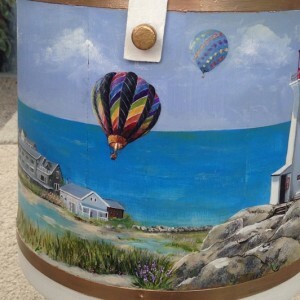 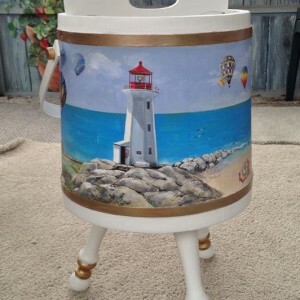 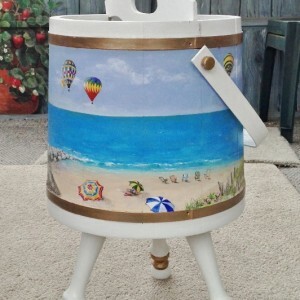 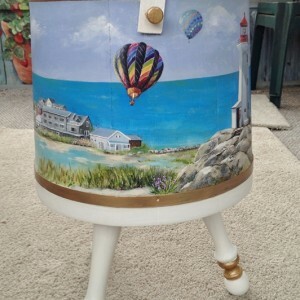 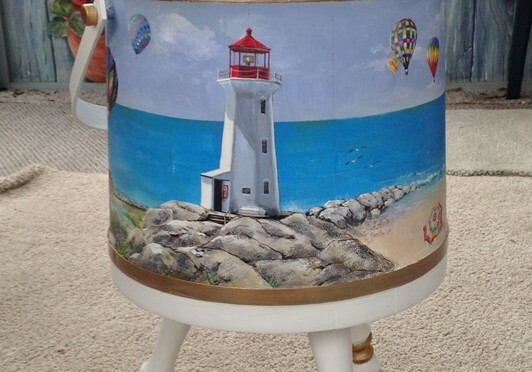 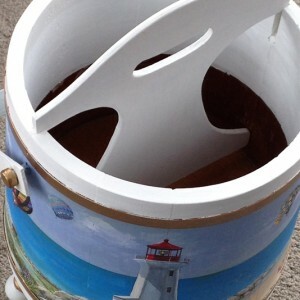 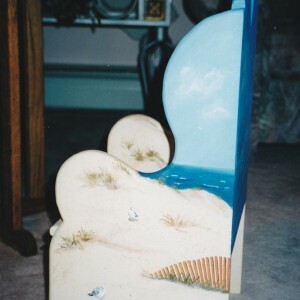 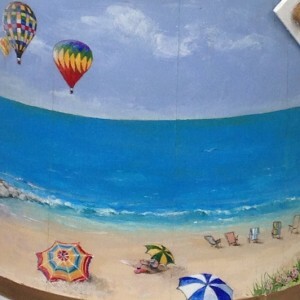 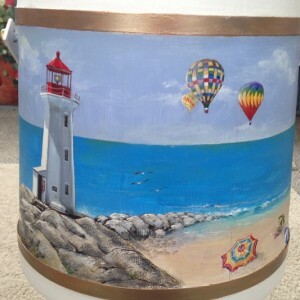 The beach scene wraps around all surfaces of the chair. 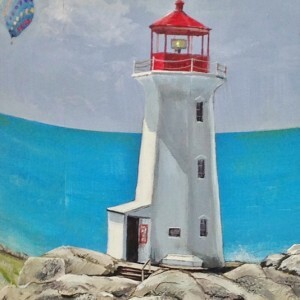 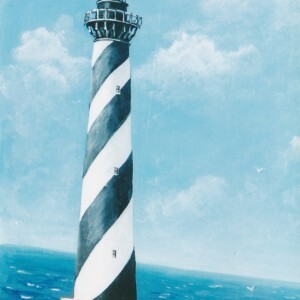 The light house is a famous one, I am sure you recognize it. 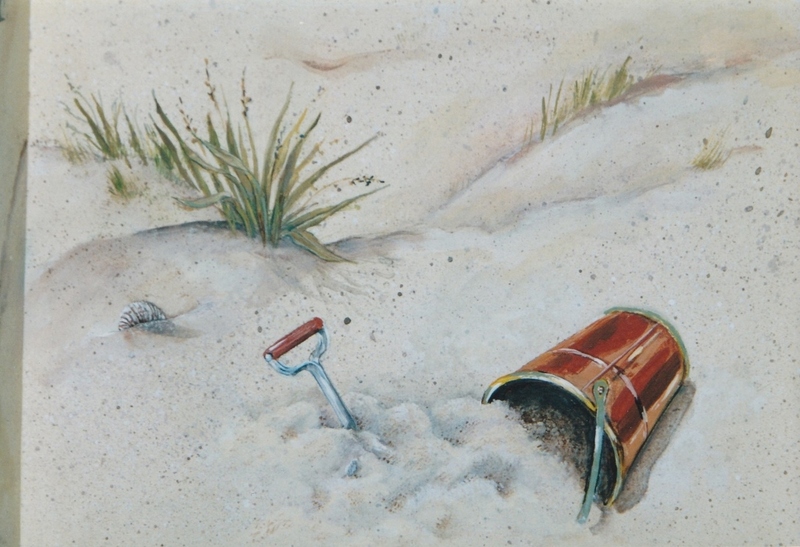 The model for the hyper-realistic copper sand pail was a miniature pail that I stuck into rice to capture the look I wanted. 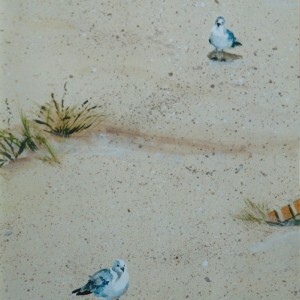 The seagulls were taken from photos a friend took at the beach. 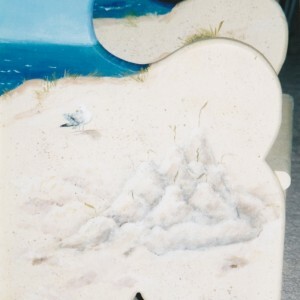 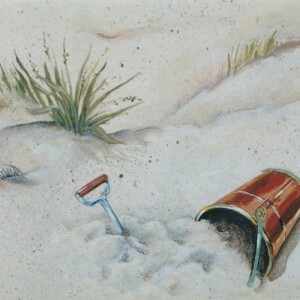 The sand castle which I painted on one of the sides was a particularly difficult challenge.